Are you worried about the harmful radiations you may get from your smartphone? 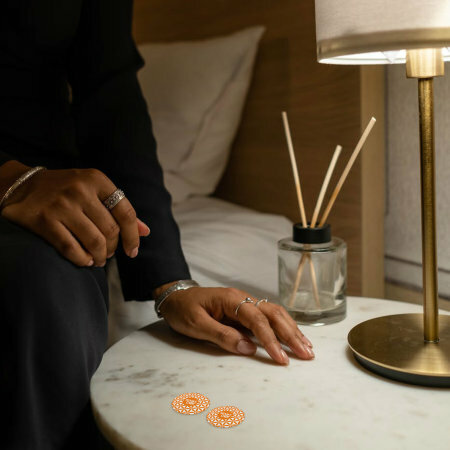 Then look no further as this two pack of smartdots is made for you - harmonize the harmful radiations and also work towards getting a better nights sleep and reduced headaches. Are you worried about the harmful radiations that may be associated with your wireless device? Then look no further - Smartdot will make a positive difference to retune your electro-magnetic fields (EMF) and help to boost your energy and help you perform at your best. 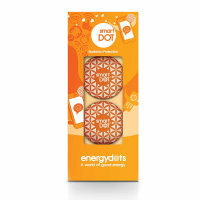 Smartdots help to support a better sleep, improved focus, reduced headaches and a much more clearer mind. With the help of Smartdots you will be feeling happier and bouncy in no time. Use these Smartdots to gain some of your natural energy back, so you are feeling happier and healthier in your everyday life. Stick these smartdots to your wireless items such as mobile phones, tablets, baby monitors etc. This duo pack contains two smartdots as we have many gadgets that require a smart dot. If you can access your battery compartment, this smartDOT can be inserted into this this place.